KGB Report by Kevin G. Barkes - Tom Wolfe, Jr. 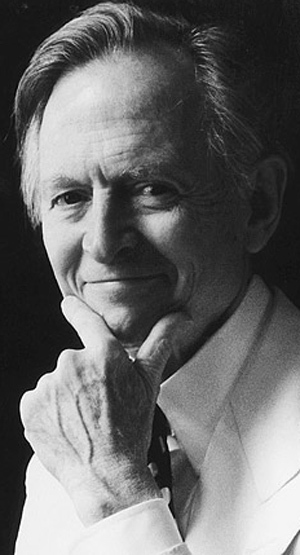 Quotes of the day: Tom Wolfe, Jr.
Criminal law is a thing unto itself, because the stakes are not money but human life and human freedom, and I tell you, that sets off a lot of crazy emotions. For the debut of Las Vegas as a resort in 1946, Bugsy Siegel hired Abbot and Costello, and there, in a way, you have it all. Frankly, these days, without a theory to go with it, I can't see a painting. If you label it this, then it can't be that. Perhaps this is our strange and haunting paradox here in America- that we are fixed and certain only when we are in movement. Sometimes we don't even realize what we really care about, because we get so distracted by the symbols. That's mostly what the Internet is, just passing the time. But unfortunately you are dealing with words that can have meaning. You can be denounced from the heavens, and it only makes people interested. You never realize how much of your background is sewn into the lining of your clothes. Categories: Quotes of the day, Tom Wolfe, Jr.